USA National Miss is an industry leading national scholarship pageant for young women ages 4-24. UNM was recently ranked #7 Best National Pageant in America with the #1 Best National Director in America! 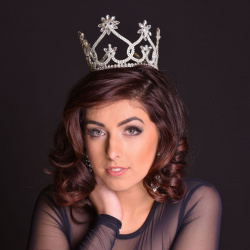 USA National Miss is a fashion forward system that provides amazing opportunities for its titleholders and a stellar prize package worth over $15,000 in cash scholarships and prizes. In only 5 short years, UNM has become a household name in pageantry, best known for its friendly atmosphere, fun events, stellar production, incredible prizes and for giving its royalty a celebrity experience like no other. In 2014 and 2015, UNM selected a former Miss America as the head judge for the national competition, along with an all-star judges panel, thus giving delegates the opportunity to compete with the highest caliber of judges. UNM is for girls who are beautiful, intelligent, articulate, accomplished and dedicated. The system heavily promotes sisterhood and community service, and has revolutionized the sisterhood concept in pageantry by having a formal organization in place for former national royalty, called Legacy Sisterhood Association. This association provides former national queens with a long list of perks while keeping them involved with the pageant system. USA National Miss is changing the culture of pageantry through its innovation, fashion and modeling elements, and a real family atmosphere. Areas of competition include runway, interview and evening gown, with a long list of optionals where delegates can custom design their national experience - whether their focus is on academics and mentoring, talent development, or fashion and modeling. 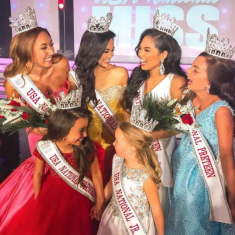 USA National Miss is undoubtedly one of the most popular and fastest growing national pageant systems in the country, under the leadership of a two-time national award-winning director. And odds are, you are either competing at USA National Miss this year, or you’ve got it on your “pageant must-do” list for the future. There are many reasons why this program has garnered so much attention and won the approval of contestants, sponsors and fans alike. As we dive into the 2016 national pageant season, in no specific order, here are the top 16 reasons why UNM is a must-do. UNM has a reputation for stacking their judges panel with highly qualified, highly respected pageant professionals and celebrities. For Nationals 2016, UNM has announced Miss America 2015, Kira Kazantsev, as their head judge. This marks the third year in a row that UNM has had a forever Miss America lead their judges panel. UNM also recently announced that Miss Haiti Universe 2015, who just competed at Miss Universe, will also be a judge. 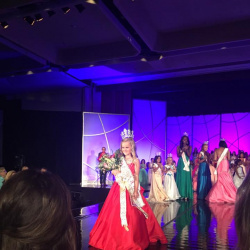 Known as a destination pageant, UNM combines pageantry with vacation by hosting their national pageants in a variety of exciting destinations. For 2016 and 2017, UNM has contracted with the exclusive Boca Resort and Beach Club in Florida for the national finals. The luxurious resort is a magnet for celebrity vacationers and will allow delegates to elevate their pageant experience to a new class. There’s something for everyone in the family at the resort, including the beach, yacht club, golf club, pools, world class spa, deep sea fishing and other water sports. Bright lights, big stage, exciting music, and a first class show that you will be proud to be a part of is exactly what you can expect at UNM. Not only is the production great, but the production staff is very friendly and makes rehearsals a stress-free and fun experience. UNM awarded over $300,000.00 this past year in cash, college scholarships and prizes. That doesn’t even include the priceless opportunities given to the national royalty, like having private dinners with former Miss Americas, modeling for famous designers and more. With amazing prizes including a cruise, tickets to Miss America and modeling contracts, UNM has a stacked prize package and a stellar line up of sponsors backing them. At UNM, sisterhood is a verb. The organization puts sisterhood into action by providing opportunities for bonding before, after and during nationals. Alumni are treated to special discounts, and former national royalty (referred to as legacy queens) enjoy the many perks of the Legacy Sisterhood Association, UNM’s official program for keepers of the crown. Partnering with Troy University in Alabama, USA National Miss awards full ride college scholarships to all teen and miss national delegates who meet the academic criteria for this award. In 2015, UNM awarded over $220,000.00 in full-ride college scholarships. In addition to the college scholarships, UNM awards cash scholarships. UNM’s national royalty live the life of a celebrity, enjoying paid trips across the country and internationally. Trips to New York City, Atlanta, Atlantic City, and other states as well as the Bahamas keep the queens on the go and in the spotlight. UNM is serious about integrity. It’s one of the pillars that the organization is founded upon. So, it’s no surprise that they use a trustworthy, state-of-the-art system for scoring contestants. An off-site electronic system is used to ensure the integrity of the scoring process, as well as accuracy. Delegates can rest assured that the scoring and tabulating is error free and fair. National delegates are challenged to get involved in charities, and UNM also challenges them to participate in global initiatives throughout the year to support and bring awareness to many causes. Initiatives like “Go Red for the American Heart Association”, “Wear Blue for Bully Prevention day” and others, coupled with UNM’s two national day of service, keep the focus on using the crown to make an impact. Along with the charity focus, UNM’s has a national platform, The Crown Cares. The resources and entire curriculum for this program are provided to delegates free of charge, so that they can take this anti-bullying message to classrooms across the country. As a certifying organization with the Presidential Volunteer Service Award, UNM makes it possible for their national delegates and queens to earn recognition from the White House for their volunteer efforts. Presidential Awards are given at nationals, along with community service awards for all who have participated in the UNM National Days of Service. UNM is the only national pageant systems of its kind that provides delegates with an official Nationals Prep Forum, to ensure everyone is fully prepared for nationals. Forum 2016 is being held in New York City, and Steven Roddy of The Pageant Planet will be a special guest. This event not only includes informational sessions and Q&A’s, it is also a great time for team building and bonding with UNM sisters across the USA. In addition, delegates will enjoy a fun day in NYC. UNM knows how to throw a party! The Glamour Gala is a formal, themed welcome dinner held the first night of nationals, and includes a fashion show, some optional awards, and an auction to benefit scholarships. The Pink Party is a fun and high energy charity-based event including dancing, gifts, pink cake, and charity information from across the USA. Many young women have found their passion for specific charities while browsing through the many charity handouts available at the Pink Party. In addition, group socials throughout the week are hosted by the national royalty for each age division. Not to be mistaken with other pageant’s fun fashion competitions, UNM’s national runway competition actually takes place on a long runway, not just on a stage. This competition is UNM’s signature event, and features delegates walking the catwalk to high energy music and lots of lights for 1/3 of their overall national score. It is without a doubt usually the delegate’s favorite phase of competition. USA National Miss is a very well-respected title in pageantry, and the national royalty receive an extraordinary amount of national publicity and promotion. Being a part of an organization that is highly respected has its perks, as national royalty are well-known pageant celebrities in the pageant world, holding a title that is highly regarded. The founder and executive director has won numerous awards, including being named the #1 National Pageant Director in 2014 by The Pageant Planet. There’s something for everyone at UNM to customize their experience at nationals. There’s the traditional optionals like Talent and Casual Wear, but they’ve added a not-so-typical Non-Performing-Arts Talent competition. This unique and trendsetting optional is for young ladies whose talent can’t be performed on a stage (horseback riding, diving, art, archery, etc.). Believing that all girls are talented, UNM provides an opportunity to showcase unique talents and get awarded for them. There are a total of 17 optionals at nationals, and some optionals are even free.